Delamination is a failure mode that can occur in layered materials. With respect to roads it refers to the loss of large discrete area of the wearing course layer, usually in conjunction with a clear delineation of the wearing course from the layer below. Inadequate cleaning or inadequate tack coat before placement of upper layers. 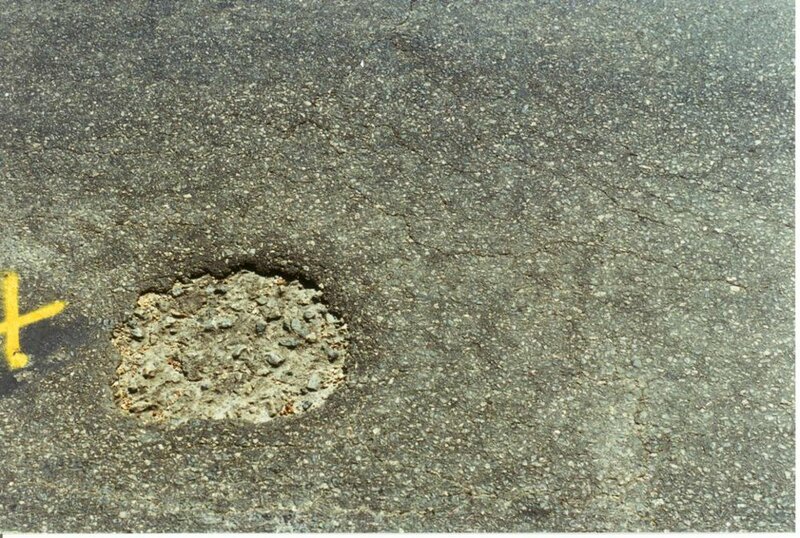 Seepage of water through asphalt resulting in the breaking of the bond between the surface and the layer below. A weak loose layer immediately under the wearing surface.